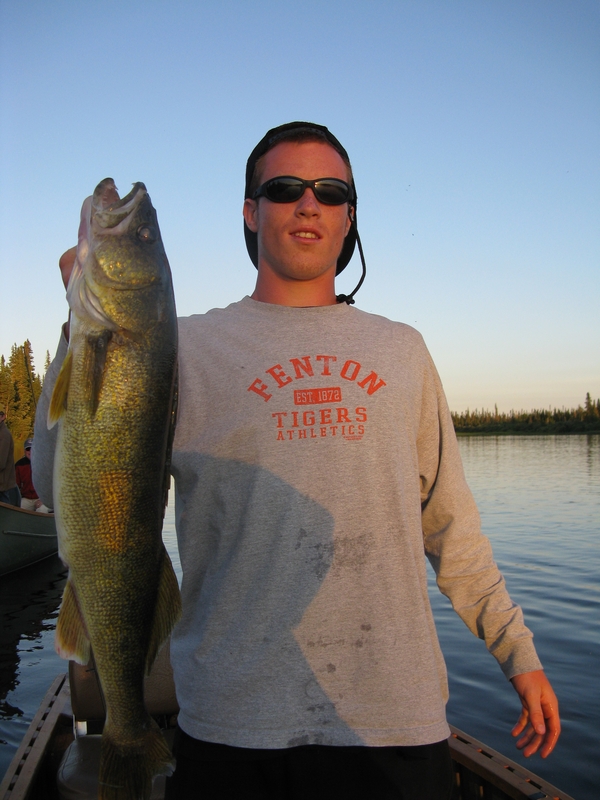 What better way to start the year than booking your fishing trip for the spring! 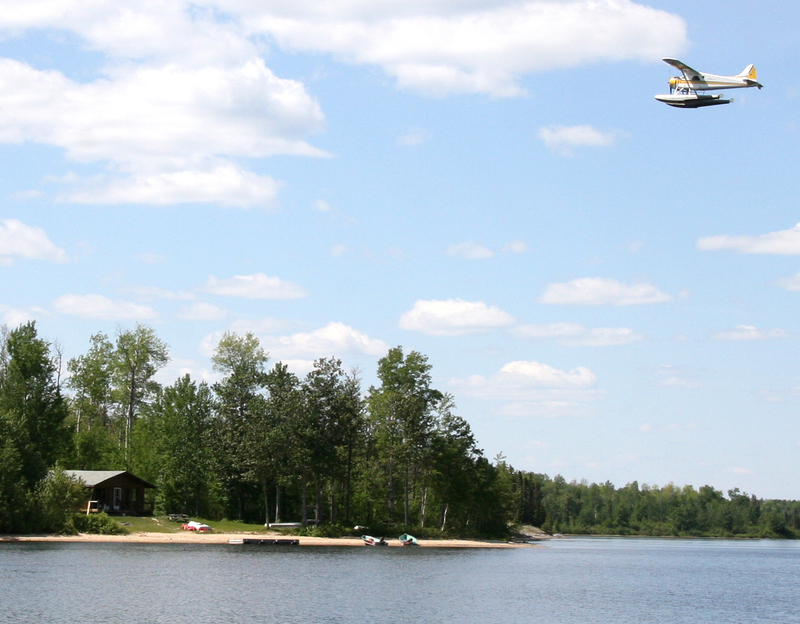 Look forward to a great fly-in fishing trip with the boys, or a family fly-in with the kids. Whatever the type of trip you are looking to do, Hearst Air can help you choose from a variety of lakes and fishing opportunities. 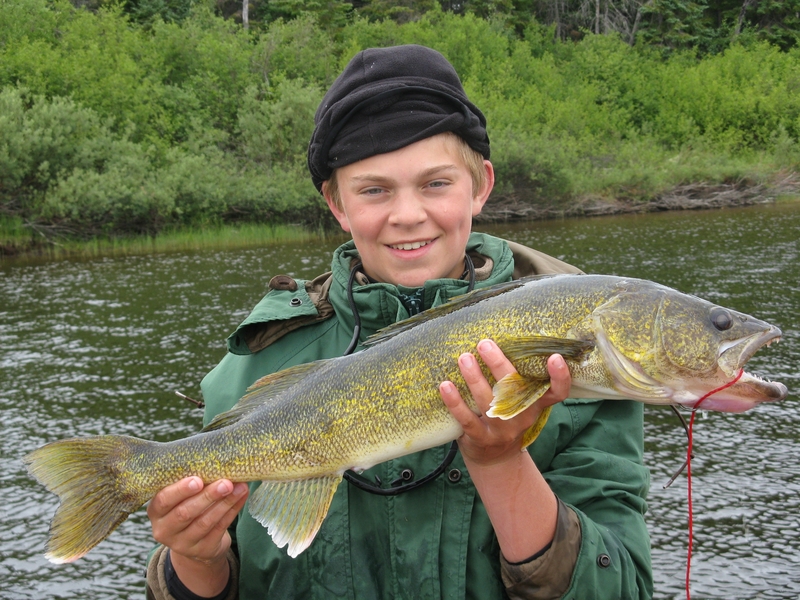 – Walleye, Pike and Perch Fishing Outpost Camps. Spaces for 2018 are very limited. Call now to book your vacation! 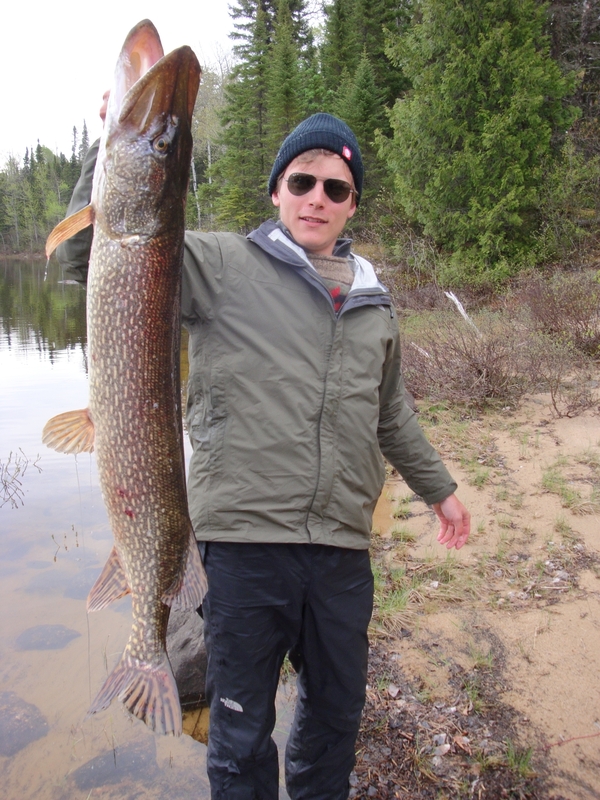 Here’s an article written on Pym Island fishing with a group from Ontario. They are avid trophy fishermen (and woman:) who truly enjoyed the river. To enjoy the river with your own group, please call anytime. We’d be glad to set you up! Well the season started off with cold weather, but as the lakes warm up and the weather spoils us, the fish are making for great stories and memories. 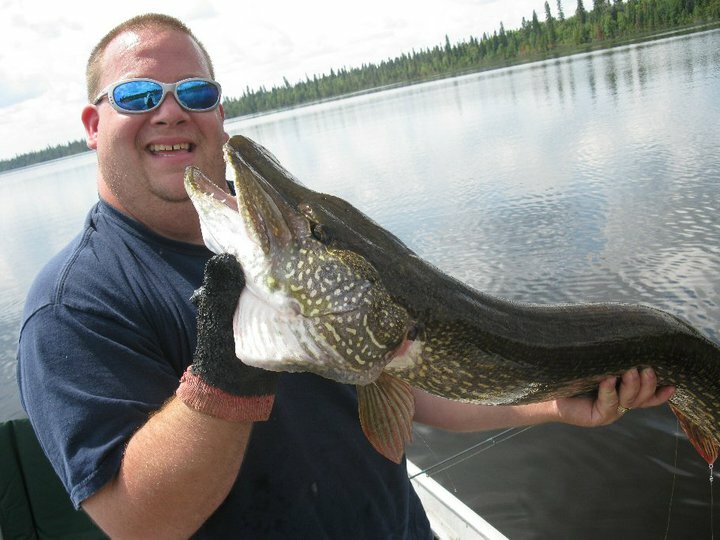 All of Hearst Air’s fly in outposts have been successful for walleye, perch and trophy pike fishing. Thank you all for a great 2011 Sport Show season. Georges and Melanie are all done the shows for the year and are very pleased with a great turn out. Many of you came to visit, brought your pictures and stories along with you. Most of all, many people firmed up on dates and locations for their 2011 trips. We look forward to seeing you all again this year. We also took the time to give some great deals out and please remember to call in and take advantage of those specials. They will not be available for much longer. Another year gone by. A great year for sure. We’d like to thank our regular visitors for many years of great fishing and hunting vacations and most of all for developing great friendships along the way. Happy New Year to all of you. So what have you planned for 2011? 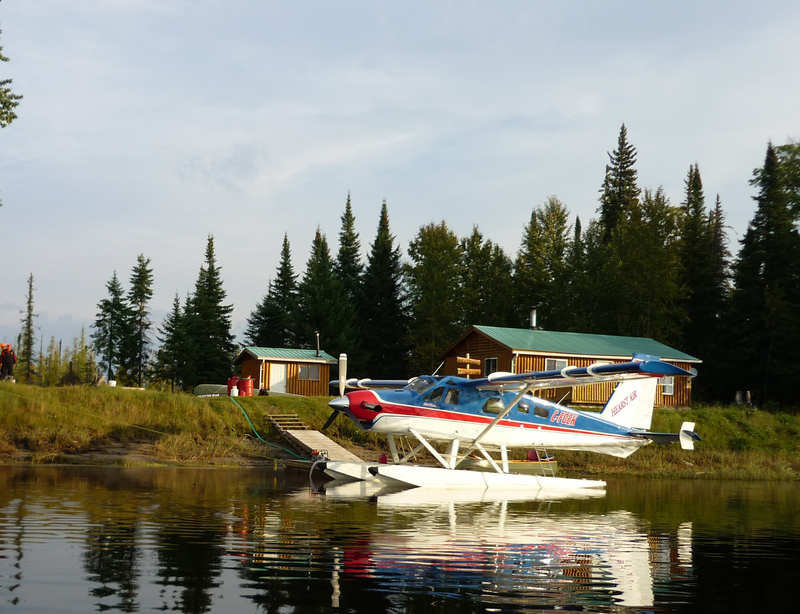 How about a fly-in fishing dream vacation?! 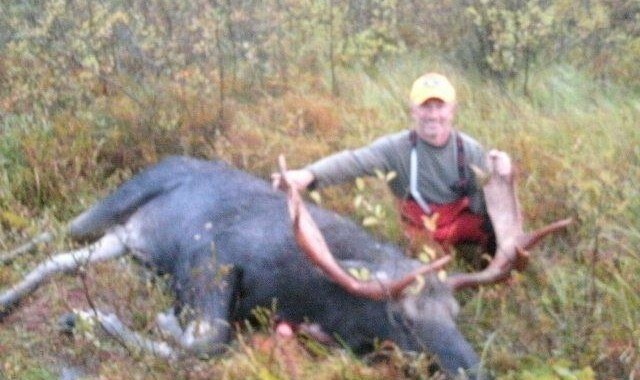 A trophy moose hunt with the boys? 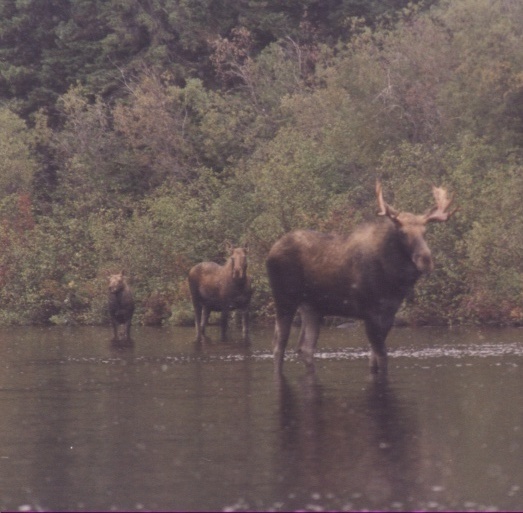 Maybe a paddling adventure in the James Bay Lowlands. There are so many great trips to choose from. Hearst Air would love the opportunity to offer a fly-in trip for you this year. 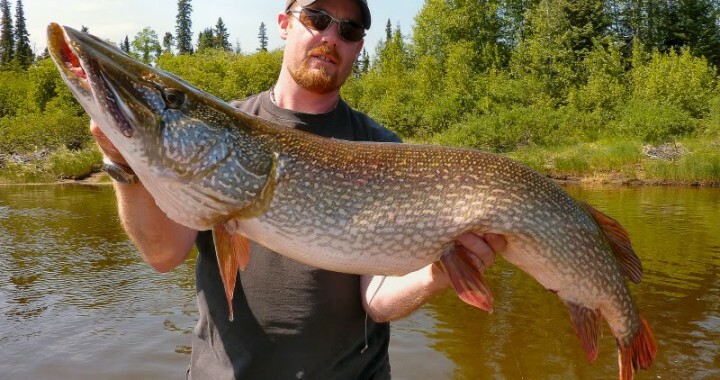 Experience true northern fisheries at their best, offering healthy and abundant walleye, large and ferocious pike and world-class trophy speckle trout. We are sure to have the right location and the right experience for you. Call us anytime toll-free and we’ll help you get started 1-866-844-5700. Book NOW for 2011 ! 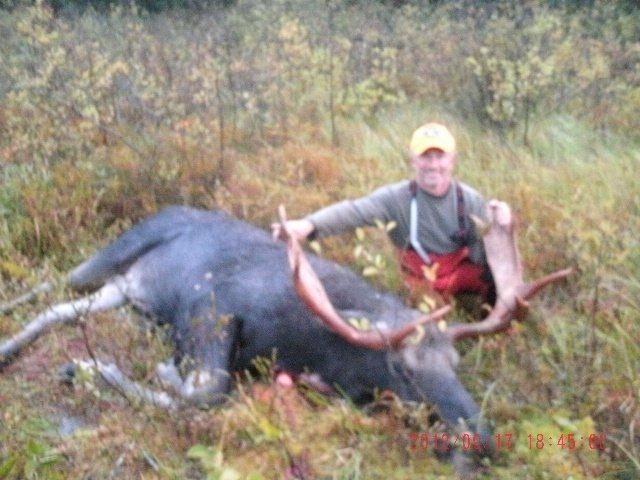 We’re getting ready to attend the Outdoor Life Show at the International center in Toronto Ontario on Nov 25-28, 2010. We’d love to see you there. Come share your stories from past fishing trips and discuss the possibilities for next year’s adventure. Show specials for anyone booking at the show…..booth number 237. Winter has finally arrived and the planes are now on wheel/skis. 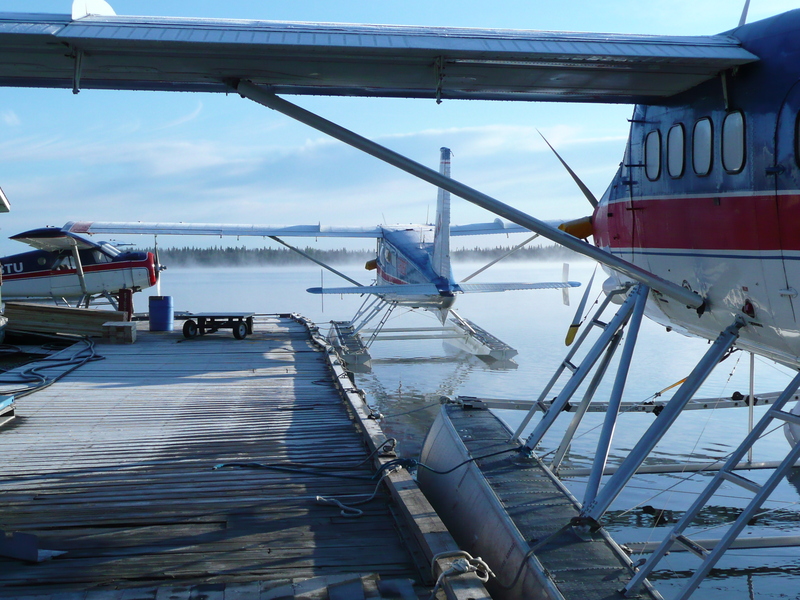 We will be busy with servicing the mining industry in remote parts of the far north. We will also be taking the time to update information packages for you and website pictures. So please stay tuned, and hopefully some video will be coming your way as well. Getting chilly on the dock. – FIREARM FORMS FOR CROSSING THE BORDER. Have them filled out and ready to sign at the border with a customs officer. – FINAL BALANCE DUE CONFIRMED WITH OFFICE AND PAYMENT METHOD. Feel free to call us if we can help with any other preparation. See you soon! Our record for the year…so far so good! The love for fishing will bring you to all corners of the country. 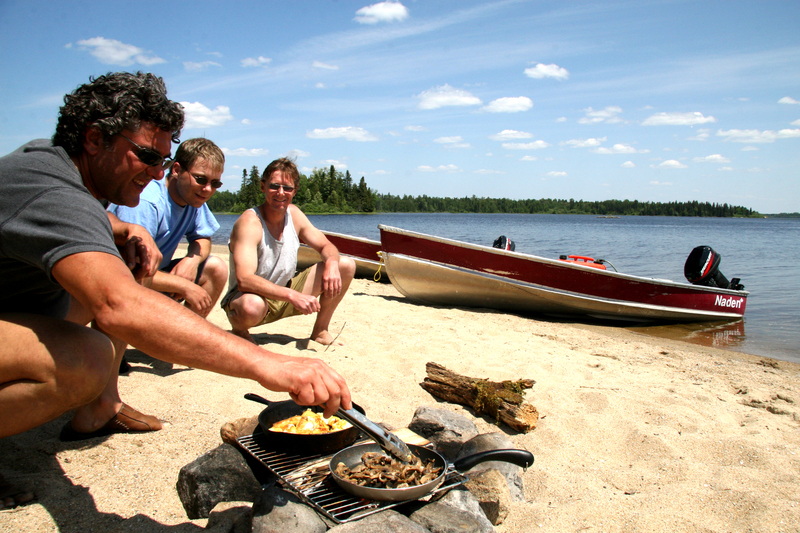 Every day you launch out on a lake or river, you come back with more than a few fillets to cook up for lunch; stories. Stories for your buddies, your kids, coffee break, hockey room, your grandkids. 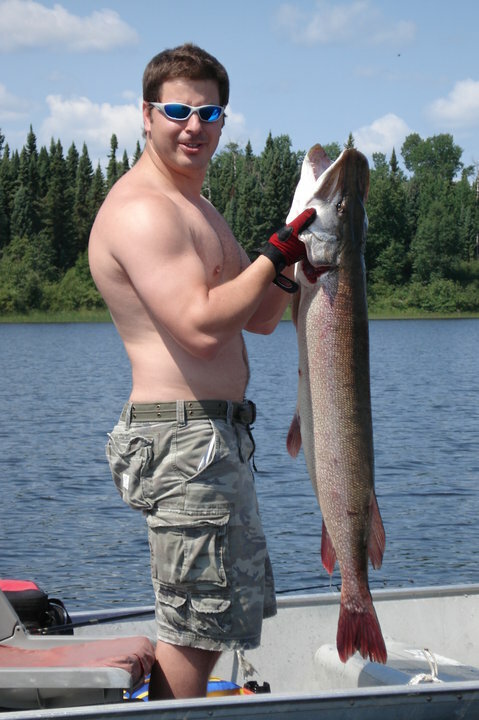 We call them “bragging rights” and every seasoned angler will have one fish that does just that. Here’s one reason for bragging that will never be forgotten. Whether you pull it out of the water, or you’re the one sitting in the boat watching…it’s a great moment. Only another month or so of fishing left to beat this record. Call me, try it, I dare you. 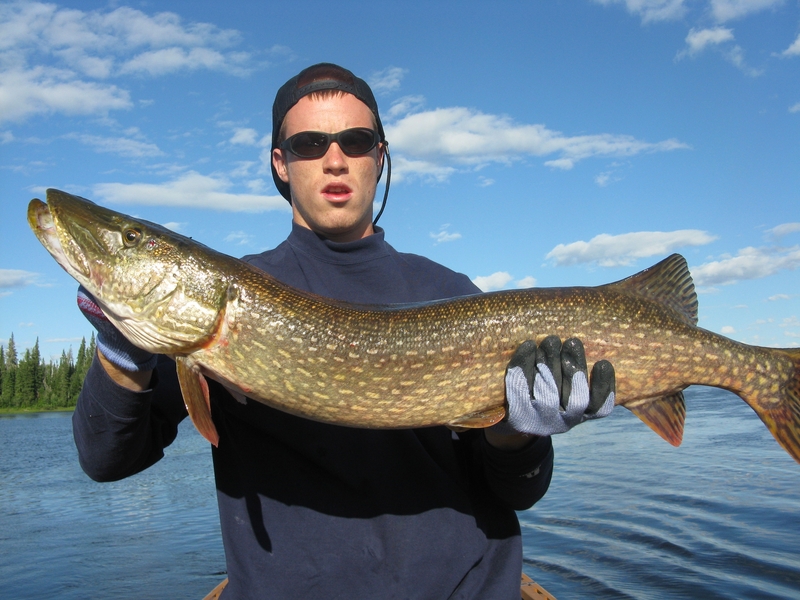 lunker pike caught in McLeister lake July 31st, 2010. SO I’m pretty sure we’ve got a new bunch hooked for life.